For the ultimate clean and organic makeup treat, you can't wrong with anything from the luxury brand RMS Beauty. Curious to find out more? 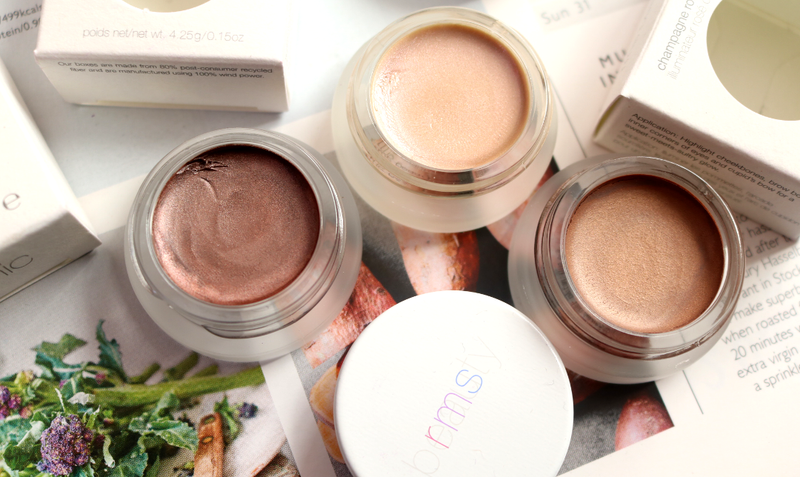 Here are three products you should definitely try out from RMS Beauty. RMS Beauty holds a special pride of place in my makeup collection and I'm in good company, as the brand is incredibly popular with a whole list of Hollywood actresses and supermodels. Developed by the revered celebrity make-up artist Rose-Marie Swift, RMS Beauty makes cruelty-free cosmetics for those who are seeking out clean, raw, organic and natural ingredients in their makeup with skincare benefits, all without compromising colour or performance. Yes, ladies (and gents), it's 2019 and we really can have it all! I've reviewed several RMS Beauty products over the years (you can check those out here), and I was lucky enough to acquire three new additions to my growing collection just before Christmas. Each one is housed in the classic frosted glass pots with white lids packaging that RMS Beauty has become famous for (I don't know why but they are so satisfying to hold in your hands! ), and I love that underneath you can clearly see the name and shade of the product. For this reason, I usually store them upside down in this manner so that I can quickly find them in my vanity table drawers. These cream formulas are also fantastic for the Winter months when skin tends to be drier, so if you're new to RMS Beauty or just want to treat yourself to some luxury makeup, here are three products to try out. If your skin is anything like mine, you may have noticed that it looks a little duller during Winter, but you can easily cheat your way to a more sunkissed looking complexion with this beauty, the Buruti Bronzer. Formulated with RMS' famous wildcrafted Buruti Oil, this ultra-sheer cream bronzer is a delight to work with, especially if you have dry or mature skin (oilier skin types can set this with a little translucent powder to lengthen the staying power). The colour is a nice warm bronze shade that's very flattering on, and although it has a healthy golden sheen to it, there's no crazy glitter in here. Instead, you can layer and build up to the colour to suit your skin tone, and it's easy to blend out for the perfect finish. Darker skin tones can use this a gorgeous highlighter shade, whilst paler complexions can adapt it to use as a warming contour shade. 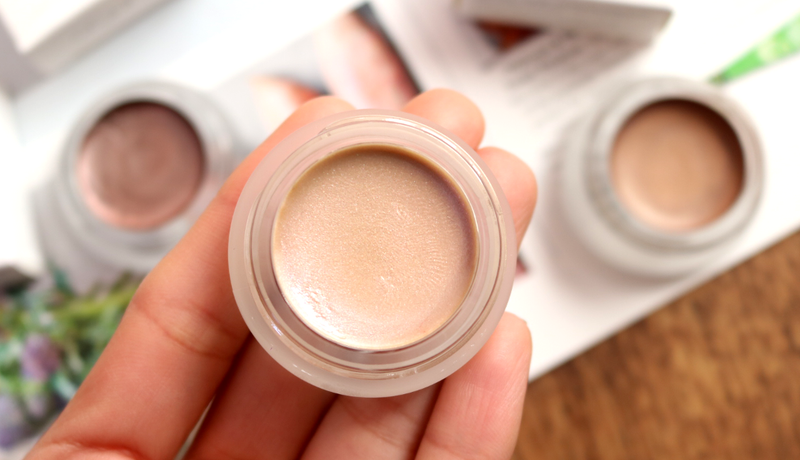 When I'm in a rush, nothing beats a quick swipe of cream eyeshadow all over the lids with just your finger, and this is perhaps one of the reasons why I love the RMS Eye Polish pots so much. They are the ultimate, fuss-free, low-maintenance makeup products! 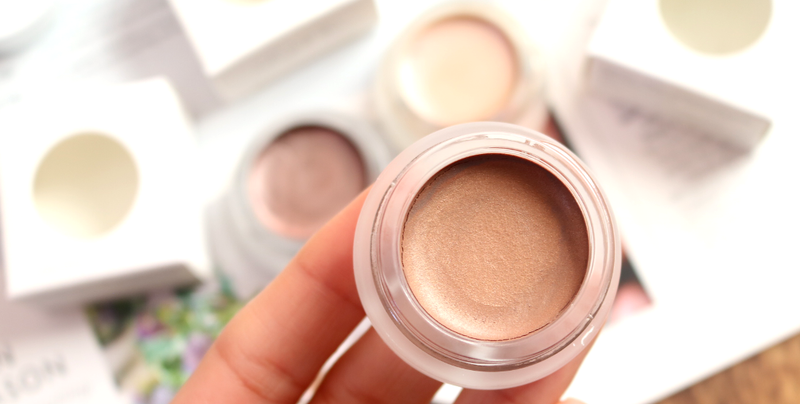 There are several sheer metallic shades to choose from, and each one contains a unique blend of raw mineral pigments which have been mixed with skin-friendly ingredients such as Coconut Oil, Beeswax, Jojoba Seed Oil and Cocoa Butter, to hydrate and nourish the often dry and delicate eye area. This shade Magnetic is the brand's bestseller and it's easy to see why. It's a super pretty everyday taupe colour that has just a hint of silver and mauve to keep it interesting. On the lids, they go on creamy with a gorgeous glossy finish that's very wearable and on-trend. As they are so moisturising, I do have to use these with an eyeshadow primer underneath to prevent any creasing as my lids are naturally oily, so I'd recommend doing the same if you want to increase its longevity on the eyes. Only want to try one product from RMS Beauty? Make it one of their luminizers! 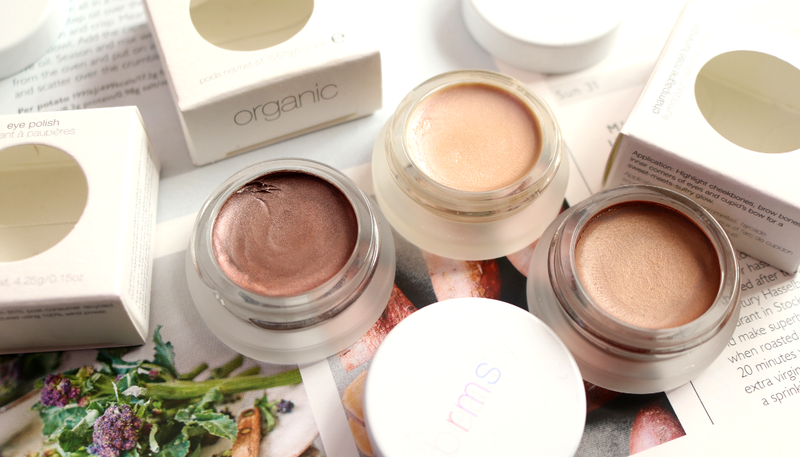 These creamy highlighter pots of dewy, brightening goodness are the most covetable from the brand, and they have something of a cult following amongst makeup artists and customers alike. Featured regularly in the top beauty editors favourites lists every year, RMS' Luminizers come in a range of different shades to suit and flatter all skin tones. If you're struggling to pick one, the Champagne Rosé Luminizer is universally popular and is described as a 'blushed pink champagne'. 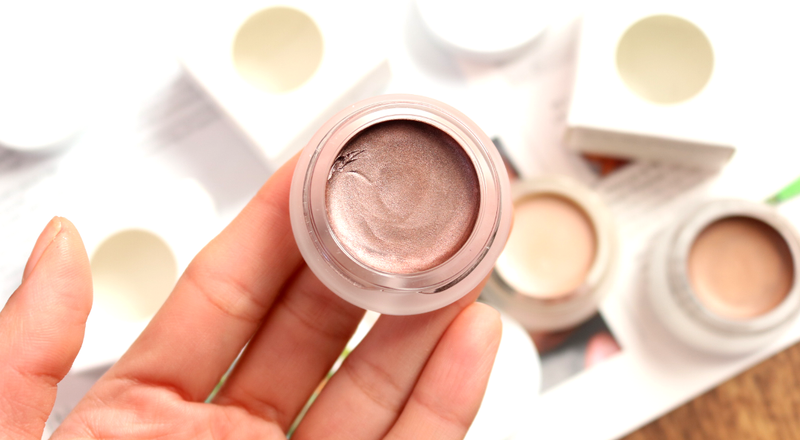 On my light olive/medium skin tone, it delivers a glossy opalescent sheen which draws attention to the high points of the face, and it can transform any look into one that's instantly fresher and more youthful with just one easy swipe. I feel that it's important to point out that the RMS Beauty Luminizers are not the bling-tastic/OTT highlighters that you constantly see on YouTube and Instagram. These are much more subtle and delicate for an overall understated, sophisticated and chic look. They're particularly great for makeup beginners and newbies to play with as you simply can't go wrong with them! What are your favourite products from RMS Beauty?